The closest thing to an elixir of youth outside of a fairytale! 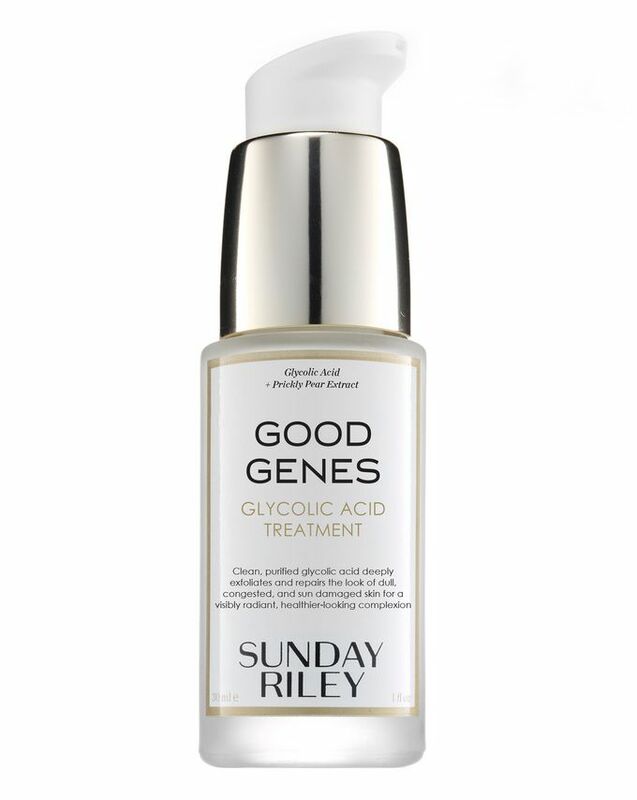 Sunday Riley's completely reformulated Good Genes Glycolic Acid Treatment is a multi-tasking, under moisturiser treatment and mask that smooths, refines, clarifies and brightens, whilst improving your skin's thickness and elasticity... phewf! Featuring tiny glycolic acid molecules that sink deeply into skin, the formula breaks apart pore-clogging debris and minimises the appearance of congestion and fine lines. Alongside this, lactic acid exfoliates further, prickly pear extract reduces irritation and lemongrass extract brightens and clarifies skin. 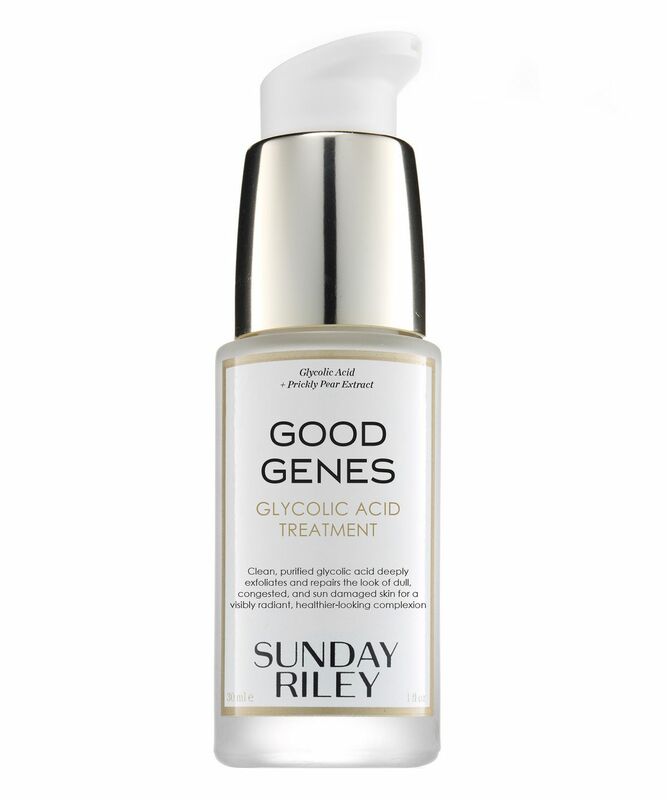 A multi-purpose treatment, Good Genes Glycolic Acid Treatment works hard to un-do the damage caused by sunlight, acne, pollution and less-than-healthy lifestyle choices! The potent blend of ingredients combine to plump fine lines, fight hyper-pigmentation, heal scar tissue and boost circulation so skin looks smoother, younger and more vibrant. The starring ingredient in this reformulated treatment are tiny glycolic acid molecules (which can sink deeper into the skin than other forms of alpha hydroxy acid) which break apart pore-clogging debris, gently exfoliating away dead, dulling cells to reveal the radiance beneath and minimise the signs of congestion, fine lines, wrinkles and dullness. Alongside this, lactic acid exfoliates further, prickly pear extract reduces irritation and lemongrass extract brightens and clarifies skin. The treatment can be used daily to give your complexion a moisture and radiance boost, or applied as a treatment mask to increase circulation and get skin glowing ahead of a special occasion. If your budget allows this item and you're having problems similar to mine - go for it, absolutely worth it. Better than any other acid product I tried (Drunk Elephant TLC, Alpha H). I am: 25, acne prone skin with a tendency to scarring and pigmentation. I would NOT use it: - Summer Time - too strong - Mornings - very greasy and horrible under sunscreen - On open/raw areas, like a healing blemish. - It actually helps to heal but hurts. - On a daily basis - waste of product. 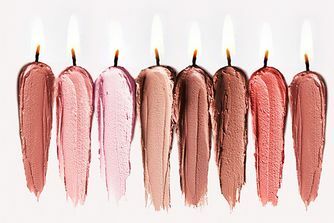 I would use it: - Occasionally, up to 3 times a week - Over your bare face or after a toner - Start with less than one pump and work your way up Results: even skin tone, minimal blemishes - just the occasional hormonal ones, which have become smaller and quicker to heal, diminishing pigmentation. I'm actually comfortable going around my day without makeup in public, which was a no-go just a year ago. I use this in the mornings and it brightens and tightens my skin and makes it look glowing all day. Love it. I use this every other night, you don't need a lot, one half a pump I find is plenty. It doesn't have a SPF so I wouldn't use it during the day, it does make your face tingle slightly but in the morning my skin feels plumper. I'm a 43 year old woman with rosacea and can be prone to some breakouts, since using this my breakouts are very few and far between, but my rosacea hasn't changed. Haven't noticed a difference in my fine lines, but overall my skin is brighter and smoother. Best investment I ever made. I love this product, it is worth every penny! I previously used the Drunk Elephant TLC but I didn’t see much difference in my skin. So I wanted to try this. After using a sample and seeing amazing results over night, I purchased the whole bottle! Totally recommend! I’m really surprised by the not-so-good reviews for this product. I originally received a sample, after one use my skin was super soft and instantly brightened. I had to treat myself to the full size! I was really skeptical about the new formula and how my skin would react to it, but it turned out as effective as the old one with lactic acid in it. Fortunately for me it's still the only product that makes a difference on my acne prone super oily skin! I'm glowing! Strong on my skin. It made my skin burn and caused me to break out. I have combination, dehydrated skin. Could be because my skin is dehydrated. This my second bottle. My skin looks much better, smoother, more radiant and much better hydrated. It is amazing even fine (dehydration) lines are practically non existent. An absolute must have for me, in my daily care! I love it! The tingling feeling of it doing it's magic is awesome and the result shows pretty quickly. I have a very sensitive skin, especially on my cheeks. It tends to get reddish most of the time. I was very sure that it would tingle the moment I applied it on my face, but God gracious it does not tingle at all. 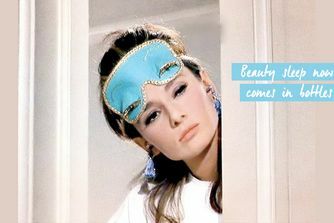 I use it every night and, boy, the next morning my face has this awesome glow. All the dullness and redness has slowly faded away. There aren’t enough positive words to describe Good Genes. I was given a set at Christmas that contained a small bottle of this and it did wonders on my oily, spot prone skin. I will always keep repurchasing this because it completely changes the look and texture of my skin with use every other night. I don’t put anything under or over the top and just leave it to work it’s magic. I was a bit scared to try this out as I have sensitive skin and this tingles a lot for the first few seconds after application. However, it did not cause any negative reaction on my skin. I saw a visible difference in my skin even after a few applications. I have a lot of dry patches normally, these disappear after a few applications. It also reduces the appearance of fine lines. Great product. This product made no visible difference to my skin apart from dehydrating it. It’s not worth the hype, perhaps I have rhino skin, who knows. The new formula does not work the same at all. They’ve changed the type of acid. All this one does is break me out. I’m distraught.. I waited months! I am ecstatic with this product and what it has done for my skin! 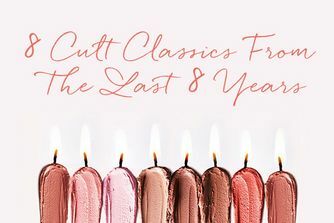 I’ve been taking the plunge into purchasing more expensive skincare recently because it’s become something that I want to take more interest in, and Good Genes certainly proved that my decision was worth it. After starting my higher end skincare routine my skin is glowing, it’s a hundred times more hydrated and it DEFINITELY is brighter and smoother. I used to get acne around my chin and the odd pimple on my forehead but since using this my skin is clear and I’m noticing that any scarring is fading away rapidly as my skin gets more even and bright. If you’re trying to love your skin more like I am, I would say absolutely go for it, I know it looks dauntingly expensive but I am so much happier and confident in myself when I see that my skin is clear and radiant and we all deserve to feel that way!